Nearly every day, videos, photos and eyewitness accounts of UFOs pop up on the Internet. Some are hoaxes. Some are quirks in the weather. Some sightings are never explained and forevermore remain UFOs. 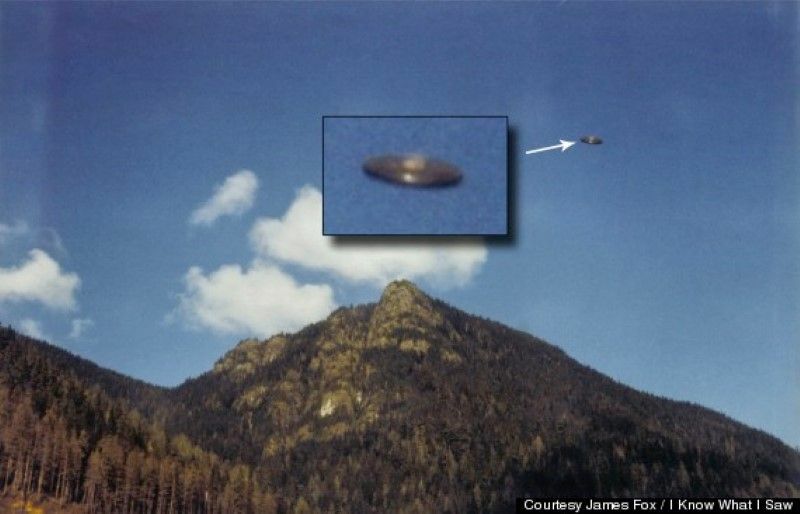 The photo above, taken by Hannah McRoberts on Vancouver Island in British Columbia in 1981, is considered one of the most credible UFO pictures. Still, never has there been widely accepted positive proof of an extraterrestrial spacecraft, though there are those who believe various government agencies around the world have conspired to hide the truth. Now, however, if someone can prove otherwise, they will be $100,000 richer. Filmmaker James Fox will make this announcement as part of the promotion for his upcoming movie The 701, inspired by the Air Force’s two-decade UFO study, Project Blue Book. The massive study into 12,618 UFO sightings, which ended in 1969, was able to explain away all but 701 of these sightings. “Our intent is not to create another television UFO documentary, but to produce a feature film for worldwide theatrical release — ‘The 701’ — the most compelling film ever produced on UFOs,” Fox said. Congress co-organizers Jason McClellan and Maureen Elsberry host “Spacing Out,” a weekly web series that explores UFOs, outer space and the search for extraterrestrial life. McClellan says the IUFOC, now in its 22nd year, fights to maintain credibility, a not-so-easy task given how many people regard the search for extraterrestrial life. “Putting aside the giggle factor often associated with UFOs, people can come here and share their stories, experiences and personal viewpoints without being ridiculed,” McClellan told HuffPost. An interesting daily conference activity invites people to attend special experiencer sessions, led by licensed therapists, and which is closed to all press and media. Once the $100,000 UFO challenge is announced, it’s expected that many people will submit items they feel are credible contenders for the reward. On the other hand, the ease by which UFO photos can be made these days may account for many of the entries. The image above is an enlargement from the main picture at the top of the story. Could this be a candidate for a $100,000 payoff? Let the contest begin.